It&apos;s Carnival time! 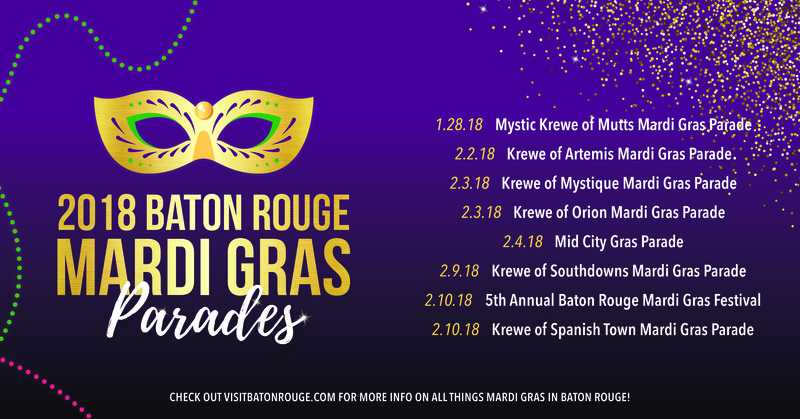 Baton Rouge is the perfect destination to experience a family-friendly, authentic Louisiana Mardi Gras. Starting January 6 (also known as King&apos;s Day) the countdown to Fat Tuesday begins, and it&apos;s usually around this time you&apos;ll find local Baton Rouge bakeries filling their windows with King Cakes. From traditional to new, modern twists, King Cakes are a must-taste treat when down south during Carnival. 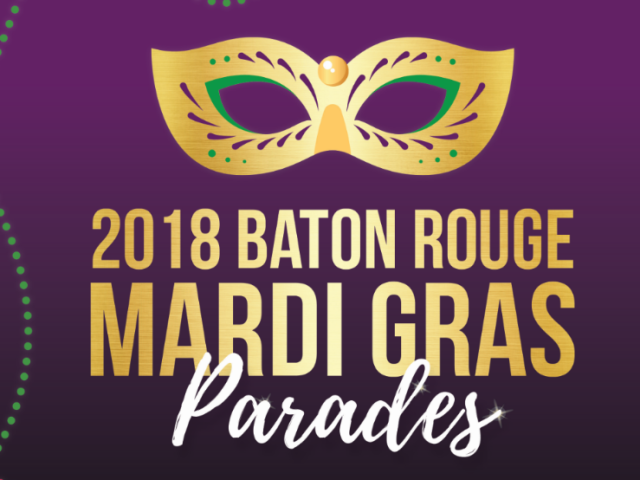 Mardi Gras festivities center around parades and good times. Baton Rouge is known for it&apos;s various Krewes, some celebrating historic neighborhoods and others celebrating our favorite furry friends. 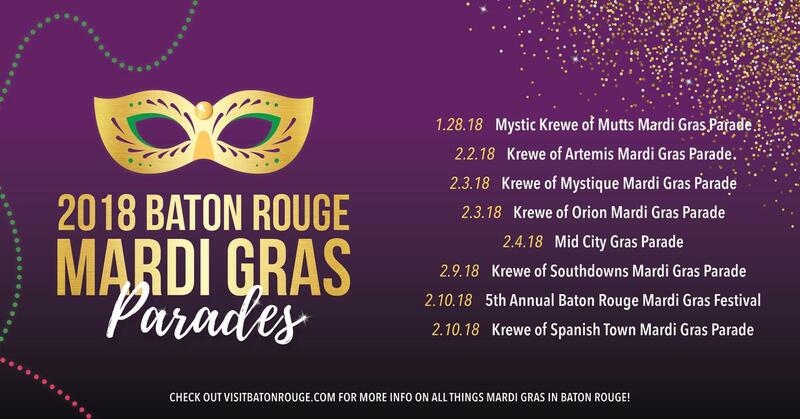 Mark your calendars for some of Baton Rouge&apos;s most notorious Mardi Gras parades and events, and get started planning your Carnival vacation.